Alan Yuter represents insurers in coverage and bad faith litigation arising from all types of insurance policies. He also has extensive experience in handling matters before the Court of Appeal and Supreme Court. Alan has taken numerous examinations under oath and has supervised investigations on suspected insurance fraud. Additionally, he has testified as an expert witness on insurance matters, including insurance coverage and claim handling issues. Alan has also acted as an arbitrator of insurance disputes and has numerous appellate decisions, including many decisions published by the California Court of Appeals and the California Supreme Court, in addition to the appellate courts of other states. Many of his published decisions have developed important principles in California insurance law. Alan has a degree in economics from Cornell University and received his law degree from Georgetown University Law School in 1981. He has practiced law in California continuously since that time. He is admitted in all courts in California, including all federal courts and the Ninth Circuit Court of Appeals. Successfully defended an appeal from summary judgment entered in favor of client, defendant insurance broker, in a suit for professional negligence. The matter arose from the broker's alleged failure to obtain appropriate errors and omissions coverage for the plaintiff's participation in the construction of a large utility plant, based on application of the two-year statute of limitations stated in Code of Civil Procedure Section 339(1). Successful litigation of an insurer's right to intervene in a lawsuit against its insured, in order to present defense of defaulted insured. Court of Appeal accepted writ, ordering Superior Court to show cause why intervening insurer cannot present all defenses at trial. Trial counsel in a jury trial involving claims for breach of contract and bad-faith refusal to pay a judgment arising out of the death of a minor. At the conclusion of plaintiff's case in chief, the court granted client's motion for directed verdict. Legal issues involved the interpretation and application of an "Assault and Battery Exclusion" in the subject policy, viability of judgment creditors' claim for bad-faith refusal to pay judgment and defenses available to defendant insurer against assignee of insured's rights under policy. Successfully defended an appeal from summary judgment entered in favor of insurance company client on the premise that it did not have a duty to defend or indemnify its insured based upon a Named Driver Exclusion. Obtained directed verdict on no duty to defend the insured, an armed security guard company, when its employee shot and killed a 19-year-old man on the premises of an apartment complex that had hired the insured, based on the assault and battery exclusion. Suit against real estate Errors & Omissions carrier was successfully resolved in a Cumis dispute brought by a real estate broker and broker's attorney. Judgment was obtained in favor of commercial auto insurer after it was demonstrated that insurance application misrepresented the nature of the insured's business. Federal Court ordered other insurer to pay judgment against insured in full. Judgment was obtained in favor of insurer and insurer's general agent in coverage dispute arising from attempt to add additional insured after loss had occurred. Judgment was affirmed on appeal. Represented insurer in coverage dispute regarding class action brought by copyright holders against major media company. Settlement of case involved resolution of contribution claims with other carriers insuring media company over a span of 20 years. In a case of first impression in Missouri, the Supreme Court reversed a lower-court ruling and held that our excess insurer client was entitled to pursue a primary insurer for bad faith failure to settle. Adams v. Explorer Ins. Co. In this case, the California Court of Appeal upheld judgment in favor of Explorer Insurance Company on the basis that the policy lapsed prior to loss due to non-payment for premium. In essence, the Court ruled that an insurer's notice of cancellation for non-payment is effective despite post notice payment to his agent. Further, the Court held that any error on behalf of the insurer stating the amount of past due premiums did not render its Notice of Cancellation ineffective. Finally, the Court determined that an endorsement request did not, in and of itself, become a binder of new insurance as argued by the insured. The Court reasoned that an endorsement request is not a new policy, but instead it is simply added to the main policy. As such, any endorsements added to the main policy would be cancelled as well. Construction Protective Services, Inc. v. TIG Specialty Ins. Co.
Insua v. Scottsdale Ins. Co. Obtained full affirmance of the judgment in favor of the insurer client following a court trial. Successfully argued that the insurer was not obligated to pay pre-tender amounts incurred by the insured, regardless of whether it could show "prejudice" (as in late notice cases). Alan represented an insurer that was sued by a judgment creditor for bad faith delay in satisfying a judgment against its insured. The insurer paid the balance due on the judgment, including accrued interest, eighty-one days after the payment was due. Selman Breitman obtained summary judgment for the insurer, and on appeal, successfully argued that a delay in paying policy benefits, resulting in a loss of use of the funds, does not satisfy the economic loss requirement for a viable bad faith claim. In addition, the court declined to follow the decision in Hand v. Farmers Ins. Exchange (which, as a matter of first impression, permitted a judgment creditor to sue an insurer for bad faith) to the extent it might be deemed inconsistent with its decision. Scottsdale Ins. Co. v. MV Transp. Obtained California Supreme Court review of the Court of Appeal's decision that insurer client could not seek reimbursement of defense costs it paid under a reservation of rights but was ultimately found not to have owed as a matter of law. The Supreme Court agreed with our argument that in keeping with the seminal Buss v. Superior Court (Transamerica Ins. Co.) (1997) 16 Cal.4th 35 decision and principles of equity, insurer client was entitled to full reimbursement of defense costs it never owed. On behalf of insurer client, Selman Breitman intervened in liability action against the insured health care provider and its employee after the employee defaulted. After the trial court ruled that insurer could defend the damage but not liability claims against the insured in default, filed a successful writ petition overturning the ruling. The Court of Appeal issued a published decision providing an invaluable roadmap for insurers seeking to intervene when their insured is in default or is otherwise unable or unwilling to participate in the defense of a liability action (e.g., due to a suspension of corporate powers for failure to pay franchise taxes). The Court of Appeal's decision states that intervening insurers may defend against both damage and liability claims against the absent insured, that the default is not binding on the other parties even if they are alleged to be vicariously liable, and that an insurer defending under a reservation of rights has no "conflict of interest" precluding its defense of claims against the absent insured. Belmonte v. Employers Ins. Co.
Alan represented an insurer which had issued a Commercial General Liability policy. The insurer disclaimed coverage, asserting that an auto exclusion applied to a claim of negligence in failing to safeguard premises to keep car keys from unauthorized persons. The Court of Appeal found in favor of the insurer and ruled that an auto exclusion applies to a premises liability claim based upon the failure to safeguard keys. Furthermore, the court ruled that the auto exclusion was not limited to use of the vehicle by a named insured. Downey Venture v. LMI Ins. Co.
Alan represented a commercial general liability insurer which had issued a policy expressly insuring malicious prosecution. Selman Breitman successfully argued that coverage for malicious prosecution, although included in the standard form CGL policy, was against public policy in California. Therefore, LMI Insurance Company was permitted to recover the full amount of its settlement as against the insured Downey Venture. 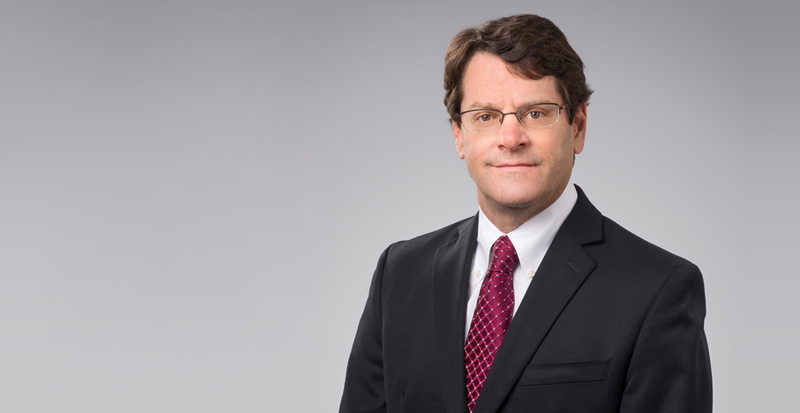 Selman Breitman obtained defense judgment at trial, affirmed on appeal in a case brought by lenders on a property policy covering a commercial building. This published decision addressed the full credit bid rule. Scottsdale Ins. Co. v. Addison Ins. Co. In a case of first impression in Missouri, the Western District Court of Appeals held SB's excess insurer client was entitled to pursue a primary insurer for a bad faith failure to settle. Alan is an avid tennis player and skier.